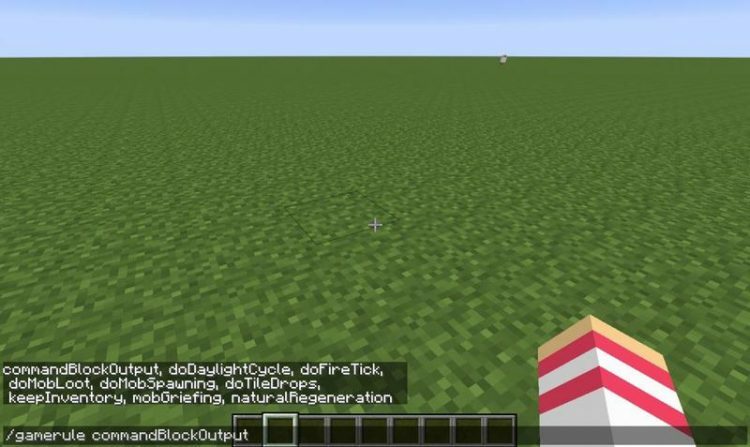 Global GameRules Mod 1.12.2/1.11.2 for Minecraft allows the application of Game Rules commands as soon as the player has loaded a world (without the need of typing in the command). Game Rules in Minecraft is a combination of code that can change gameplay as well as “rules” when playing in a certain world. For example, the game rule can cause the player not to drop items upon death, etc. and so on. The disadvantage of the game rule in Minecraft is that you will have to set game rule separately for each world when generating worlds. Such complexion can easily make you confused between different worlds of game rules and causing silly mistakes like killing yourself by jumping into lava because you think that the game rule of that world allows you to keep items from dying. And to solve that problem, the Global Game Rules Mod was created. 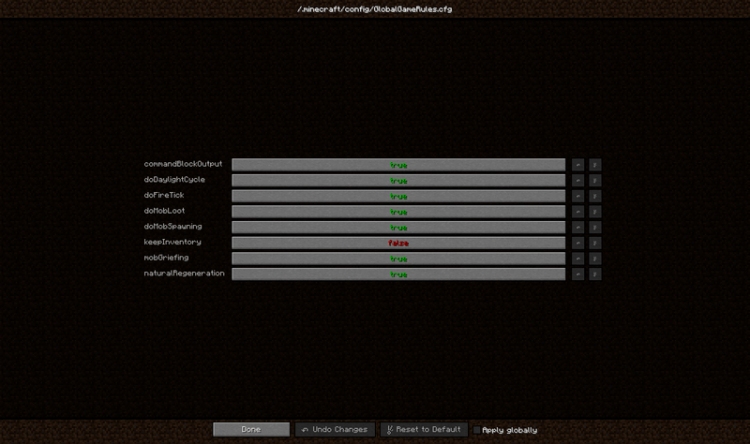 The main feature of the mod is to allow the player to set standard game rules in the custom section of the mod and thereby apply them to any world. 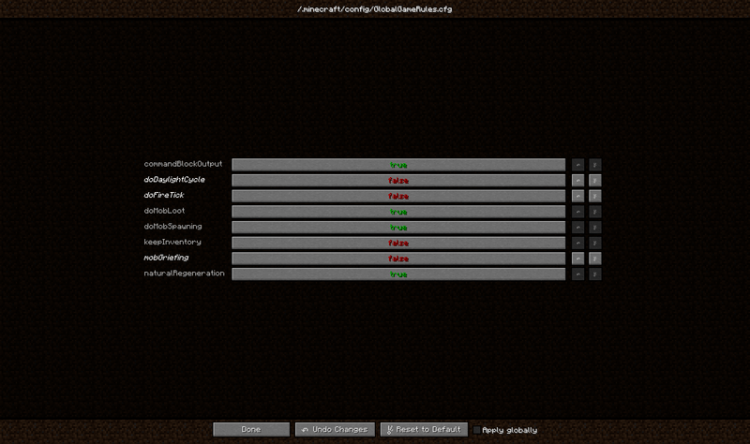 You can adjust the parameters both in the config file and the in-game setting interface. You can download the latest version of the Global GameRules Mod from the link below and follow the instruction to install. Do not forget to check if the mod needs any additional mod to run. Happy gaming! Download Forge Installer, Global GameRules.jar file.